There are pivotal moments in every athlete’s career that define their legacy. There are other moments in a players career that really define their character. A little moment-association with Florida Panthers players should do the trick, remembering the things that come to mind when you think of each player. How will they be remembered? What will they be remembered for? What are their identifiers? If NHL never came back (oh please come back to me) what would these players be remembered for? Let’s take a look. Kris Versteeg – As a member of the Chicago Blackhawks he solidified his role as solid performer. In his 2008-09 season with the Blackhawks, he recorded 22 G, 31 A, and a +15 rating. During the playoffs he contributed with 4G and 8A for 12 pts. As a guy further down on the depth chart, he definitely did his job behind guys like Jonathan Toews, and Patrick Kane. During the 2009-10 season when the Blackhawks won the Stanley Cup, his regular season stats read 20G, and 24A. Keeping in mind additions like Marian Hossa would cut up his ice time. That year in the playoffs he scored 6 goals finishing with 14 pts. The other things we know Versteeg for, besides being a force for the Hawks and a major contributor to their Stanley cup in 2010? Something he isn’t shy about? His love for Fergie, his obsession with rapping, and a personal favourite, his trip to Palace Grill with Andrew Ladd. His legacy? 2010 Stanley Cup Champion, master of making embarrassing speeches look easy, and grower of slightly embarrassing flow. Sean Bergenheim – The first time I heard of Sean Bergenheim he was contributing to the Tampa Bay Lightning and their run to the Eastern Conference Finals in the 2010-2011 season alongside Vincent Lecavallier, Martin St Louis, and Steven Stamkos. The dude was on fire being an absolute tyrant for other teams scoring 9G for 11 pts in 16 games. Earlier that season he accumulated 29pts, and 56 PIM, which made his playoff performance a welcome surprise. Moving to the Panthers, I was surprised to see him let go by the Lightning. In his inaugural season with the Panthers, he scored 17 G, and had 6 A in 62 games. The playoffs seem to be his bread and butter as he scored 3 G and recorded 3 A in 7 games for the Panthers in their first playoff run since 1999-2000, leading the team in pts. His legacy? A playoff performer. Stephen Weiss – Drafted by the Florida Panthers in 2001, taken in the 1st round, 4th overall, Weiss is a franchise player. His career states with the club from 2001-2012 boast a total of 637 games. His goal total is 144, 246 assists, for 390 pts. He’s had trouble with consistency and living up to the expectations of a high first round pick. In the 2009-2010 season, Weiss had a breakout year scoring a career high 28 goals combined with 32 assists for 60 pts. His production the last two seasons hasn’t been as high, but he continues to put up an average of 56 points per season between 2008 and 2012. His first playoff run with the Panthers since being in their organization showed promise as he scored 3G and 2A, for 5 pts, in 7 games. His legacy? The face of the franchise, and the most successful drafted Panther to date. Scott Clemmensen – As a goaltender that has bumped around from team to team originally drafted by New Jersey in the 8th round of the 1997 entry draft, he seems to have solidified himself as a dependable goalie. Starting in New Jersey, he played 25 games split between 4 seasons. Moved to Toronto, Clemmensen played 3 games for the Toronto Maple Leafs serving as their backup. 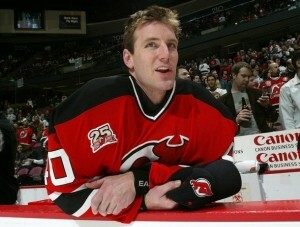 Back to New Jersey he went, and played 40 games with a record of 25-13, a SV% of .917, and a GAA of 2.39. The 2009-10 season is when he moved to Florida sharing the net. In his three seasons with the Panthers Clemmensen has played 84 games, has 31 wins, 25 losses, a SV% of .912, and a GAA of 2.70. He has been a solid backup for his career, and hasn’t been able to get to a place where he could steal the show and become the starting goaltender. A job which Jose Theodore currently holds for the Panthers. His legacy? A bit of a journeyman goaltender. 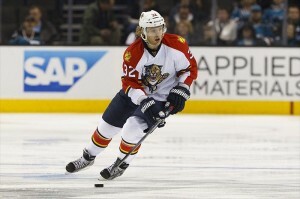 Brian Campbell – A migrant to the Panthers after being a piece of the puzzle in the Blackhawks 2010 Stanley Cup, Dale Tallon took on his 8 year, $57 million contract to bring him to the Panthers. A sign of trust and confidence in the experienced defenseman. Last season with the Panthers Campbell racked up 53 pts, including 49 A in 82 games. Although this is impressive for a defenseman, there are few things a hockey fan will forget about Brian Campbell. It could be his nickname from his Blackhawk days; soupy. Or it could be that disastrous hit by Alex Ovechkin in the 2010 playoffs. It was a time when those hits from behind were being defined. This kind of hit sent the hockey world into a rage. His legacy? Something that still needs to be defined, but all things considered, he’s a solid stay at home defenseman if nothing else.